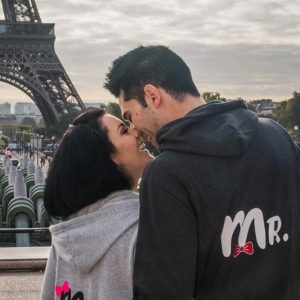 Get a unique souvenir of your time in Paris with a private photo shoot. Hire a bilingual professional photographer to create personalized photos of you and your loved ones against some of Paris's best backdrops. You will receive stunning full high resolution images to share and print. Experience Paris like never before, and hire a professional photographer for an exclusive photo session against some of the city’s best backdrops.Your personal photographer will take on-location photographs against the city’s landmark buildings, cosy cafés, or winding streets. Capture authentic moments for a special occasion, or simply create a dynamic photo-documentary of your vacation. Photo sessions are held in some of the most picturesque neighborhoods, or you can suggest your own location. Stand in front of the Eiffel Tower and beautiful gardens of the Champs de Mars to capture you with the city’s most famous icon. Take the session at dusk for even more magical moments. Pose in front of the stunning glass pyramid outside the Louvre, or with the water features of the Tuilleries Gardens. Add a touch of glamour to your shoot in Place Vendome and outside the Ritz Hotel and its surrounding boutiques. 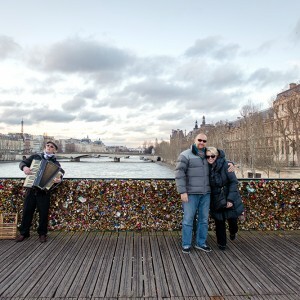 Stand on the Pont des Arts, where lovers attach engraved padlocks before throwing the key into the Seine! For classically Parisian pictures, the bohemian Montmartre and Pigalle districts offer lots of opportunities. Stroll among the artists selling their wares as your photographer captures it on camera. Quaint little cafés with terrace seating add to the atmosphere. Discover secret gardens and winding stairs with unexpected views, as well as the only vineyard in the city. The last neighbordood popular for photo shoots is around the Opéra Garnier and nearby 19th-century arcades of stained glass and iron features. The area is architecturally stunning, with the Opéra itself providing a breathtaking explosion of gilt, carvings, and art. Your photographer will contact you prior to your tour to discuss your precise options and requests, giving valuable suggestions to help capture memories that will last a lifetime.